Amit Shah made it clear BJP wouldn't even leave a single day of the five years term people have offered in 2014. Which indicates, There is close to nine months left for the next Lok Sabha Polls. A recent survey by War Room Strategies & Utopia Consulting clearly reflects the wide gap between BJP and Congress. While BJP is likely to win 227 MP (-55) Seats, Congress could manage only 78 (+34) seats. 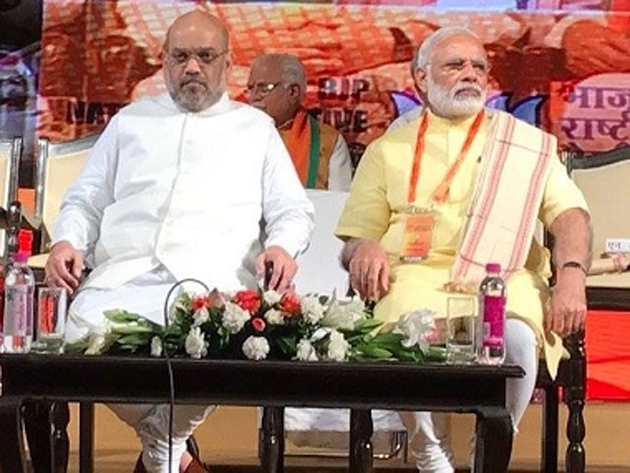 NDA will have 238 seats after 2019 Polls. Whereas, Other parties would collectively win 238 seats. The Saffron Party will be losing many seats in UP, Bihar, Gujarat and Rajasthan. Still, BJP have the chance to form government with the help of alliance partners. If that is going to happen, Then Narendra Modi will have to meet the demands of parties in the NDA. 12,879 Respondents across 156 MP Constituencies located in 25 states participated in the survey. The Agency says margin of error could be 0.5 percent.